Training , Qualifications and Certification – be in the driving seat! Do you know what a Trailblazer is and why you should care? Are you a specialist single ply roofing contractor and care deeply about training, skills & qualifications? Do you want to stop being confused by training and funding options? Do you want to help us to help you? Often people glaze over when you mention the word ‘training’ and this is frequently because trying to understand the training, qualifications and funding landscape is notoriously confusing. But did you know that a new roofing certification scheme (Roofcert) is being developed which will demand training, qualifications and regular testing to maintain certification? Post-Grenfell recommendations will also see tighter requirements for a properly trained and qualified workforce. The single ply industry has important decisions to make. We need to ensure we secure access to the right specialist training and qualifications into the future, especially if we are to access government and industry funding to support single ply training. We can be masters of this destiny, but employers need to get involved. SPRA cannot do this on your behalf… although we can do all the donkey-work! We need company representatives who can commit regular time over the next year to this issue. If you’d like to get involved, but get in touch. 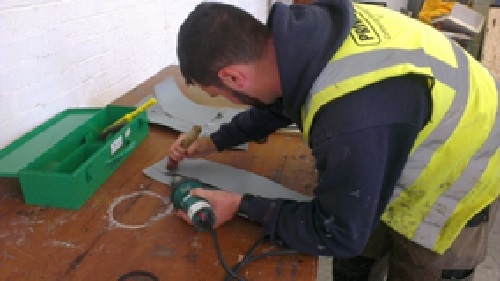 Also-do you have an apprentice in need of single ply training that results in a Level 2 NVQ? SPRA is actively recruiting for its next apprentice course (Single ply applied-skills programme or SAP for short). Limited numbers. please contact training@spra.co.uk for more details.